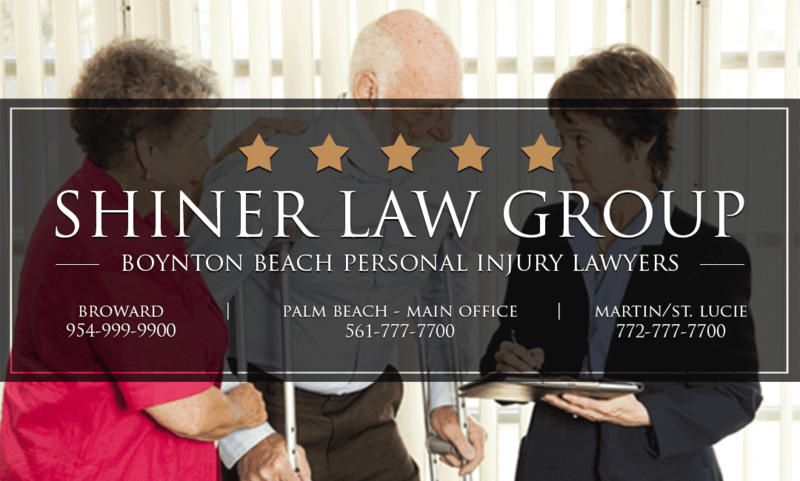 Shiner Law Group provides representation to clients who are seeking a Boynton Beach personal injury lawyer. We offer our extensive experience in personal injury cases to those who have suffered some form of harm due to the reckless, negligent or irresponsible actions of another party. We understand that the period after a personal injury is a very difficult experience for both you and your family. We will work directly with you at all times to obtain the best possible results for you. Our success rests on your success, and we keep that principle in mind at all times when we are handling the cases of our clients. We pride ourselves on our “small firm” approach, which emphasizes direct contact with you and personalized attention to your case. We always strive to be open, honest and respectful in all of our interactions with clients. Don’t let the term “small firm” fool you, however; we’re also focused on big results! We’ve obtained settlements in the millions of dollars for clients who have experienced auto accidents, wrongful deaths and product liability issues among other cases. Along with over 15 years of experience in handling personal injury cases, you’ll be getting a team that has been honored with Avvo’s highest rating for professionalism and results along with a top peer rating as well. We are experienced in handling the types of personal injury cases that are commonly seen throughout the United States — things like auto and motorcycle accidents, medical malpractice, dog bites, slip and fall incidents, and nursing home abuse and neglect, just to name a few examples. Living in the Boynton Beach area, we also see a range of accidents that are more unique to this coastal area. One example would be boating accidents. Florida has the most registered vessels in the United States in its waters and also has one of the highest rates of annual accidents in the country, including the highest annual rate of fatalities attributed to boat accidents. Lacerations, broken bones, contusions and injuries to the head and back are very common when a boating mishap occurs. If a third party caused the accident through their negligence or recklessness, we can develop a case that will get justice and fair compensation for you. While the beach is thought of as a peaceful and relaxing place, it’s also a surprisingly common source of injuries. One example would be sporting accidents attributable to an equipment failure. Another is vehicles colliding with young children and sunbathers in areas where they are allowed on the sand. Beach patrol trucks and off-road vehicles are involved in a number of accidents on Florida beaches each year. No matter the nature of your personal injury, you can call us at any time — we always have an operator standing by to begin processing your case. We offer a free initial consultation 24 hours a day 7 days a week. 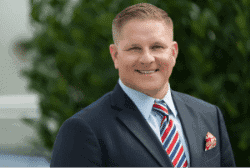 We strive to be your best option and your first choice whenever you need a Boynton Beach personal injury lawyer.